Air Tahiti Nui is taking safety seriously with a new hi-tech way of cutting down inspection times for lifejackets on its Airbus A340-300 aircraft. The airline has installed RFID tags on the life vests across the entire fleet of A340-300's using EAM RFID's TagControl Solution. The RFID technology will allow the airline to cut down inspection times from 5 hours to just 10 minutes, it will also enable the carrier to improve the traceability of cabin safety equipment and increase the rapidity of inspections - previously every three months, but now it can be done monthly, making it even safer! The project involved a training which EAM administered as a combination of on-site in Papeete and offsite over interactive conferencing in both English and French languages. "Air Tahiti Nui has used life vests from EAM Worldwide for many years. These vests already contain an RFID tag, which makes the implementation efficient and effective to deploy. However, EAM's TagControl solution can be used to scan all sorts of other assets. Air Tahiti Nui is currently tagging the medical kits such as first aid kits, defibrillators and portable breathing equipment. In the near future, we plan to tag our Oxygen Cylinders and Fire Extinguishers in the same way," said Philippe Carloz, Cabin Engineer at Air Tahiti Nui. "RFID is a technology that can simultaneously reduce inspection times for airlines and also strengthen regulatory compliance," said Marco Andreacchio, General Manager of EAM RFID Solutions. "But it can also give a granular level of data visibility that was previously not possible with the old manual inspection methods. Successful implementation requires an understanding of the processes before and after RFID implementation." 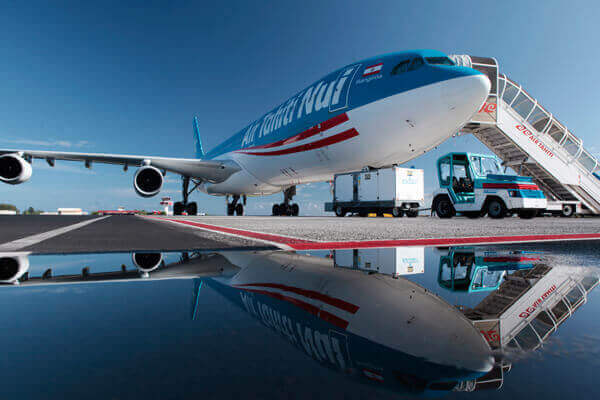 Air Tahiti Nui has installed printing stations, and the combination of on-wing RFID inspections and off-wing RFID tagging stations work very well to enhance Air Tahiti Nui's processes. With the introduction of the Boeing 787-9 aircraft at the end of the year, RFID is a technology that will contribute to the efficiency of the maintenance program. Along with the current management of Cabin Safety Equipment, Air Tahiti Nui sees a lot of areas where the use of TagControl could improve their operations such as RFID-enabled security seal inspections, management of seat dress covers and others cabin items, such as flashlights, wheelchairs & baby bassinets.